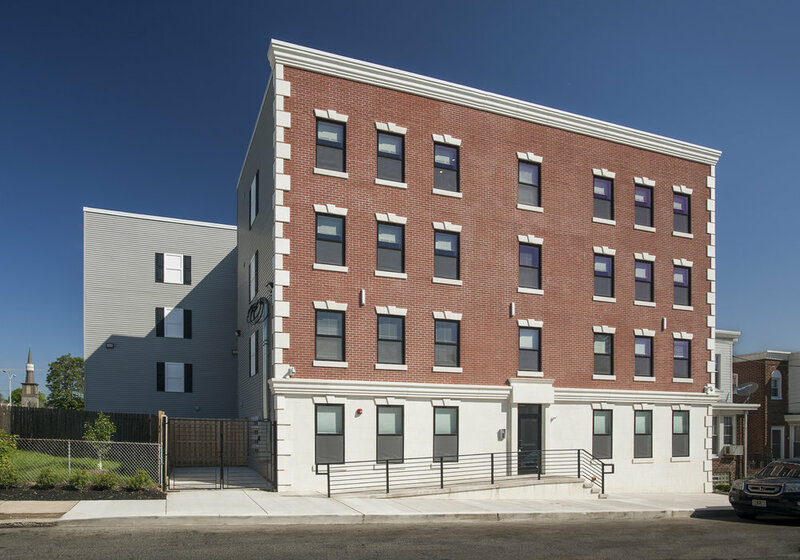 This beautiful Building features 7 terrific units with spacious open layouts. Each unit features gourmet kitchens with granite counter tops, high end cabinetry, a garbage disposal and stainless steel appliances. The units have hardwood floors throughout, central air, and are lined with windows that bring in tons of natural lighting and features exposed stone masonry that give it a rustic touch. The bedrooms feature a private full bathroom is with high end finishes including an elegant vanity with a granite top and sliding glass shower with marble tile throughout. Continue through the bedroom, you will find more natural lighting with its tall windows, the washer/dryer closet, and double door closet with an extra cabinet above that offers ample storage. This building also has a shared outside patio! The Residences at 502 Gerhard feature apartments with all the amenities that you could ask for. 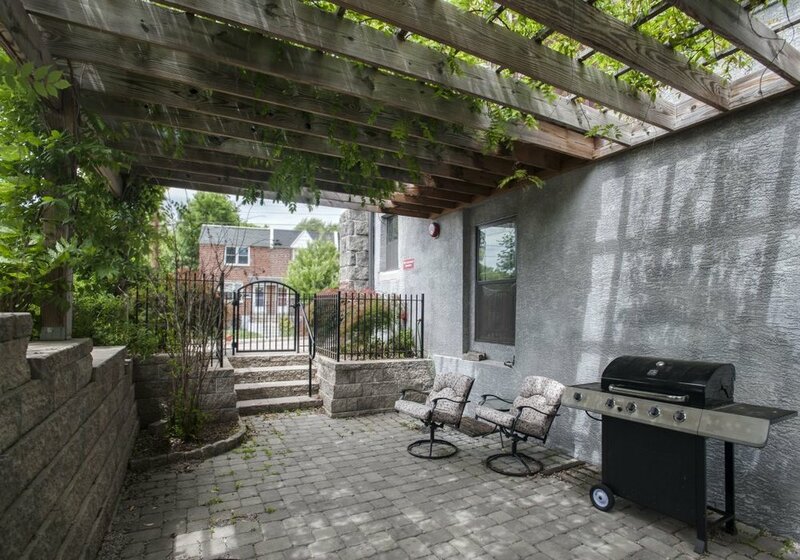 Located in the Roxborough/Manayunk section of the city of Philadelphia and a 1/2 block walk to Septa Bus Routes. Only the best finishes and workmanship went into building these apartments! The property features 14 units ranging in size all with 2 Bedrooms and 2 Baths, even several bi-level units over 1500 square feet. The living rooms have open floor plans that feature LED overhead lighting for the energy conscience person. The kitchens feature white shaker style cabinets, quartz counter tops, stainless steel appliances and LED overhead lighting. The bathrooms at 502 Gerhard feature marble and tiled shower stalls, vanities for storage, glass shower doors and tiled floors. The generous sized bedrooms at 502 Gerhard feature large closest, LED overhead lighting and hard flooring. Other featured amenities will include central air, washer and dryer in every unit, garbage disposal, security system, full fire alarm, fire sprinkler system and video camera system. 221 Lemonte street is one home out of a trio being built right next to each other! They will all be available to rent. This property is currently under construction, expected Completion date is 11/1/18. This luxury home will feature 4 bedrooms and 3.1 bathrooms. There will be 2 large master bedrooms that both feature large Walk-in Closets and wonderful bathrooms. One will be located on the top level and one located on the lower level. The second floor will feature the other two bedrooms. This house will feature a luxurious chefs kitchen. The backyard of this home is nothing to scoff at with its astonishing size. Enjoy panoramic city view on the cozy roof deck of this property. Enjoy the best of both worlds in the heart of Roxborough/Manayunk, providing the perfect balance of an urban experience and quaint small town charm. The townhouse is located just a small distance away from Main Street, offering an abundance of dining and nightlife options at your fingertips.